Jeff and Paula Conway, Franchise Owners for Charlotte Uptown, invite you to dine at any of our 4 Ruth’s Chris Steak House locations. Our mission is to deliver exceptional hospitality and to provide excellence in terms of cuisine, service and ambiance. It is our privilege to serve you and our local communities. As we tell our three daughters, it is all about relationships and we strive to develop a long-lasting relationship with you, our guest. On behalf of Paula and I and our entire team, we look forward to providing you an exceptional dining experience. Please join us at your convenience and as always – CHEERS! Step away from the hustle and bustle of the ever-growing Uptown area in the city of Charlotte and join us for a piece of serenity and melt-in-your-mouth sizzlin’ steaks! 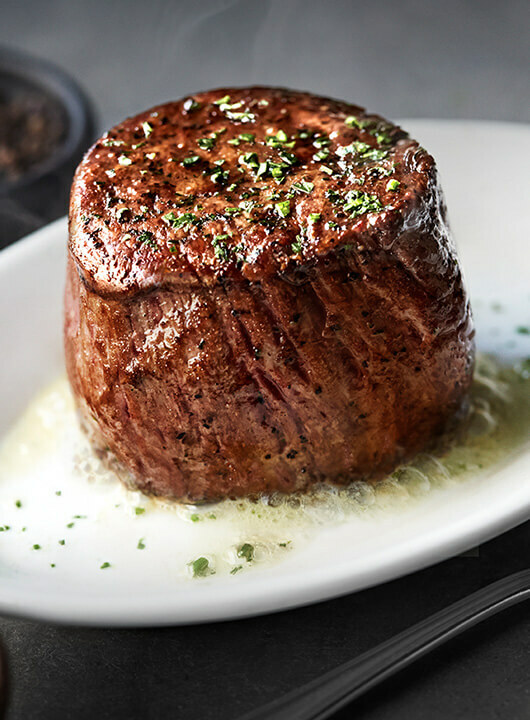 Uptown Ruth’s Chris, remodeled in late 2016, highlights blue hues and lighter colors enticing our guests to relax and enjoy what we are known for – steaks cooked to perfection on 1800 degree broilers. We pride ourselves as one of the rare Ruth’s Chris restaurants throughout the world that proudly offers an award-winning wine list, boasting the Wine Spectator’s Best of Award of Excellence. With 4 private dining options, including a secluded, romantic wine cellar, let us host your next private event or anniversary! Take a tour of Ruth's Chris in Uptown Charlotte before you dine. Complimentary valet parking* is available beginning at 6:00 PM Monday through Friday and at 5:00 PM Saturday and Sunday. Self parking is available at the daily rate in a covered deck directly behind the restaurant at all other times. *Valet may not be offered during Panther's home games, festivals, and other events uptown.